SMART Series 2000 Transmitter - HiTECH Technologies, Inc. 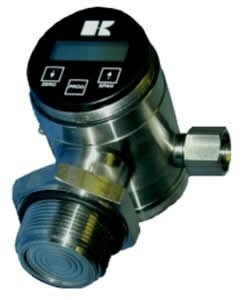 The SMART Series 2000 Pressure – Level Transmitters are solid state intelligent transmitters that provide a standard analog output (4 -20 mA), a local digital display and optional HART protocol or PROFIBUS-PA interfaces. The display can indicate pressure/level in selectable engineering units. Process temperature can also be displayed. The all stainless steel construction along with non-clogging sensor design available with over 40 different process connections including 3A sanitary, and in a variety of materials, they are the ideal choice for a broad range of applications. All versions are available Intrinsically Safe, CENELEC approved.